Red Oak is the benchmark of the Janka scale. All other species are compared to it. Red Oak that is quarter-sawn (known colloquially as “Tiger Oak Quarter-sawing”) is lumber that has been cut radially in relation to the growth rings so as to produce a uniform vertical-pattern grain. This method of cutting an oak log produces boards for flooring that are very stable compared to Plain-sawn and that are characterized by beautiful medullary-ray figuring (the vertical bands or plates of unspecialized tissue that radiate between the pith and the bark of the tree). Quarter-sawn Red Oak flooring comprises Rift and Quartered Red Oak. The Rift just has vertical grain, while the Quartered has the figured streaks. Usually “Rift,” “Quartered,” and “Quarter-sawn” refer to the same product, but Straight Rift and Straight Quartered are available separately by request. This page is devoted exclusively to Quarter-sawn Red Oak. Please refer to the Plain-sawn Red Oak flooring properties page for grades available in that type of Red Oak. Flooring is normally made from one grade lower of lumber. Thus, #1 Common lumber will make Select and Better flooring and so on. Lumber is graded worst side, while flooring is graded best side of the board. The lumber is defected to yield a higher grade of flooring, except when Clear grade flooring is made. Select and Better Quarter-sawn Red Oak flooring is color-sorted to remove extreme color variation, knots, mineral streaks, and surface defects such as cracks. Select and Better Quarter-sawn Red Oak is also referred to as Premium Quartered Red Oak. 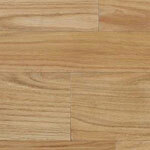 #1 Common Quarter-sawn Red Oak flooring is lightly color-sorted to remove the worst color variation. Small dime-sized knots are allowed, as well as mineral streaks. #2 Common Quarter-sawn Red Oak flooring includes all the character found in the wood. Large knots, white sapwood, worm holes, and other surface defects are included in this grade. Other common names are Rustic Quarter-sawn Red Oak, Mill Run Quarter-sawn Red Oak, and Tavern and Cabin Grade Quarter-sawn Red Oak.